Amid the hatred and anti-political feeling generated by the protracted talks, "Nobody cares anymore what exactly [the] details are," she told Euronews' political editor Darren McCaffrey at Davos. "The more we will be trying to extend any kind of uncertainty, the worse it will be for both sides. And in that case, even it's better to finish this chaos sooner even with no deal or with any kind of deal," she said. 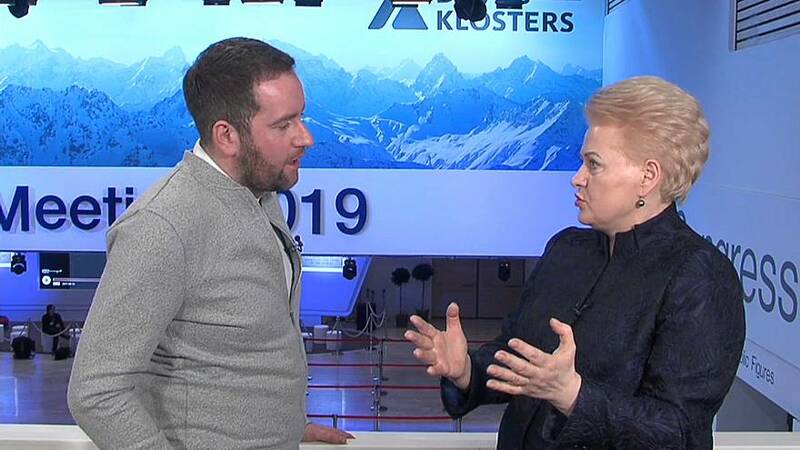 Grybauskaitė said she was confident of being able to conclude specific agreements swiftly with London following the UK's departure because the two sides enjoyed "absolutely special relations" especially regarding the economy and security. Other European leaders have given favourable signals towards the idea of extending the talks after the British parliament rejected an agreement secured by prime minister Theresa May. Austrian Chancellor Sebastian Kurz said the UK was aware that the EU would be willing to extend the talks. However, an extension would require a unanimous agreement from all remaining 27 EU heads of state, including Lithuania.